After a seemingly non-existent winter, spring has sprung in Colorado, with toasty temperatures and searing sunshine right around the corner. Soon, you’ll need to power on the HVAC system to keep your home cool and comfortable. But is your home’s HVAC system ready for the summer heat? Has it been serviced in a while? If not, you could be sweating it out in the summer heat, wishing you would’ve had your HVAC system checked out sooner. In this blog, we’ll show you a few reasons why it’s a good idea to have your HVAC system serviced sooner rather than later, so you can have cool and comfortable air all summer long. It will extend the life of your HVAC system. An HVAC system is kind of like a pickup truck—the more you use it, and the more you push it to its limits, the shorter life it will have. Add in the common wear and tear that comes with owning an HVAC system, and your system could break or or experience problems at the worst possible time. 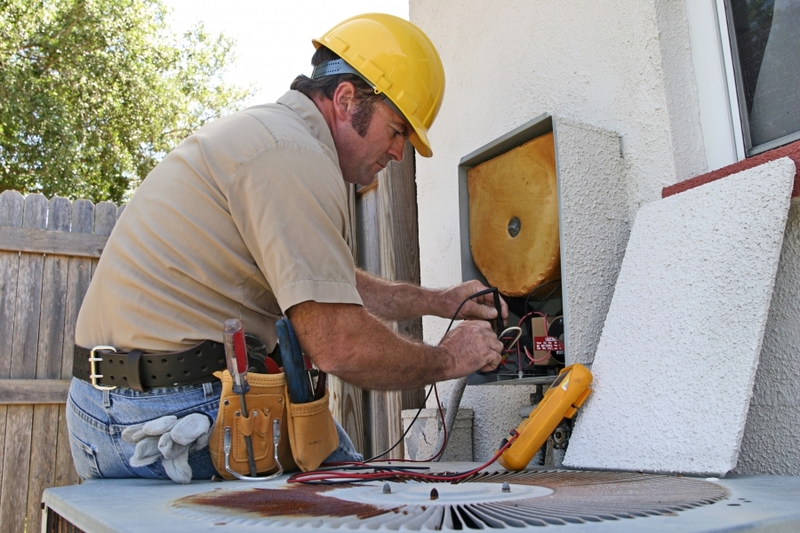 Frequent maintenance of your HVAC system will ensure that all its parts stay in good shape, which will allow your system to run better and for longer. HVAC companies usually recommend you have your system checked out by a professional once per year, or once every six months if you’re severely affected by dust and other indoor allergens. The rule of thumb: If you can’t remember the last time your HVAC system was serviced, you should get your HVAC system serviced. It will protect you from indoor allergens. According the United States Department of Energy, indoor air can be nearly four times as polluted as outdoor air, even with the use of a filtered HVAC system. If your HVAC system hasn’t been serviced in a long while, it could be making these indoor air quality issues worse. Over time, your HVAC system and air ducts will begin to harbor dust, debris, pollen, and other allergens that can compromise your health and wellness—and in more humid climates, these systems can become a great home for mold and mildew as well, which can cause sneezing, itching, hay fever, coughing, congestion, and sinus pain. Air duct cleaning and HVAC service every six months will ensure that the air in your home is clean and allergen-free, so you can breathe easy and avoid year-round allergy symptoms. Your HVAC system, by design, is meant to condition the air in your home as efficiently as possible. But if your system is clogged up with allergens and debris, or has old and faulty components, it won’t run as efficiently as it could. This doesn’t just wear down your HVAC system—it spikes your energy bill as well. A poorly maintained HVAC system can add up to 15 percent onto your monthly energy bill, which can really add up over the course of a few years. Spending some money to have your HVAC system cleaned and serviced will pay for itself in the form of energy savings, so you can breathe better air and have a fatter wallet. Talk to the HVAC professionals! Ace Hi is your HVAC service specialist of choice for Fort Collins, Loveland, and Northern Colorado, making sure your HVAC system is clean and well-maintained just in time for the intense summer heat of the Front Range. Whether you need extensive repairs, a cleaning, or some preventative maintenance, our professional staffers are happy to take care of it. Don’t wait until the hottest days in July to realize your HVAC system is broken—schedule maintenance for your HVAC system today!